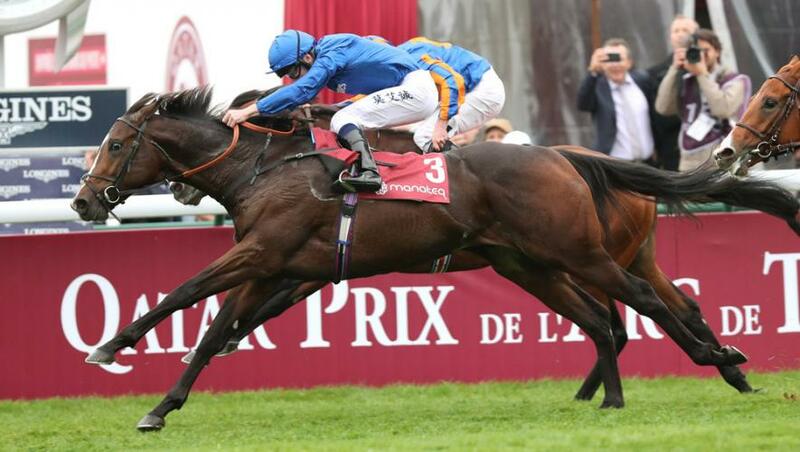 Royal Marine showed a tremendous attitude when winning the mile G1 Jean-Luc Lagardere for trainer Saeed bin Suroor at Longchamp, France on Sunday, 7 October. The two-year-old colt, partnered by Oisin Murphy, was well away and raced keenly, pulling for his head initially, in second on the outside. The son of Raven's Pass soon settled behind the front-running Broome before coming through to challenge with a quarter-mile remaining. Royal Marine went into the lead over a furlong out and ran on well, winning by a neck from Broome, with the previously unbeaten Anodor another three quarters of a length back in third. His time came to 1m 39.10s on ground described as good. Saeed bin Suroor commented: “It is brilliant for Royal Marine to win a G1 today. “He is a horse who is improving all the time and that was a very good performance. “He is a big, strong horse and I like the way he moves. He is actually really brilliant. Royal Marine is still a baby and will be better in the future. He could be anything. “The jockey gave Royal Marine a very good ride and has ridden another G1 winner. We will take the colt to Dubai for the winter. “We will talk to Sheikh Mohammed again. He made the decision to run Royal Marine in this race and we will discuss what to do with the horse next. Oisin Murphy added: “Royal Marine had a good lead but he got going early enough and did not do a whole lot in front on his third start. He won cosily. “He is a very good horse, low on experience, but has plenty of ability and I hope he can make his mark next year. Royal Marine, sixth on debut at Newmarket in August, made all to win a Doncaster seven-furlong maiden in good style on 14 September.